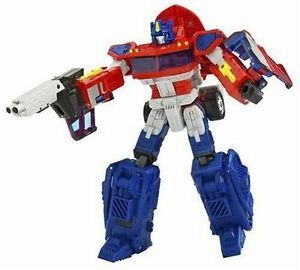 Weren’t transformers the coolest? I loved them. I never caught on with the new movies, but man let me tell you – the toys were awesome. The colors, the display, the case itself – everything speaks to me. 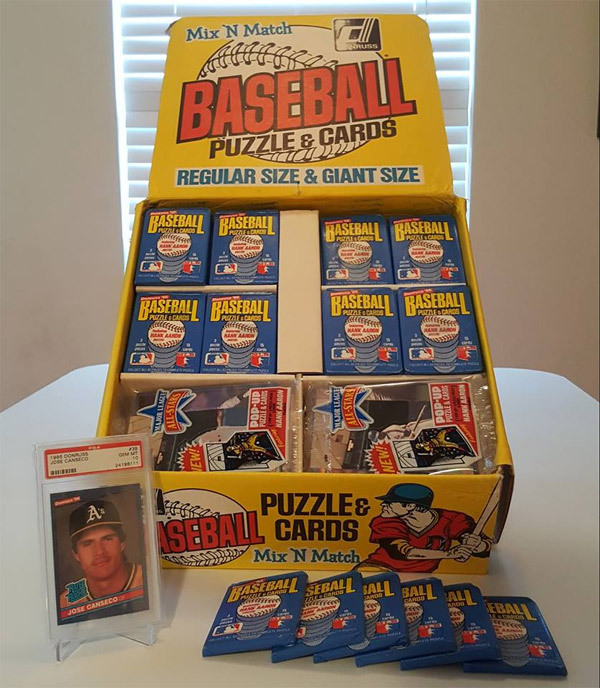 These came with 216 packs, so there are probably numerous Griffey rated rookies within. 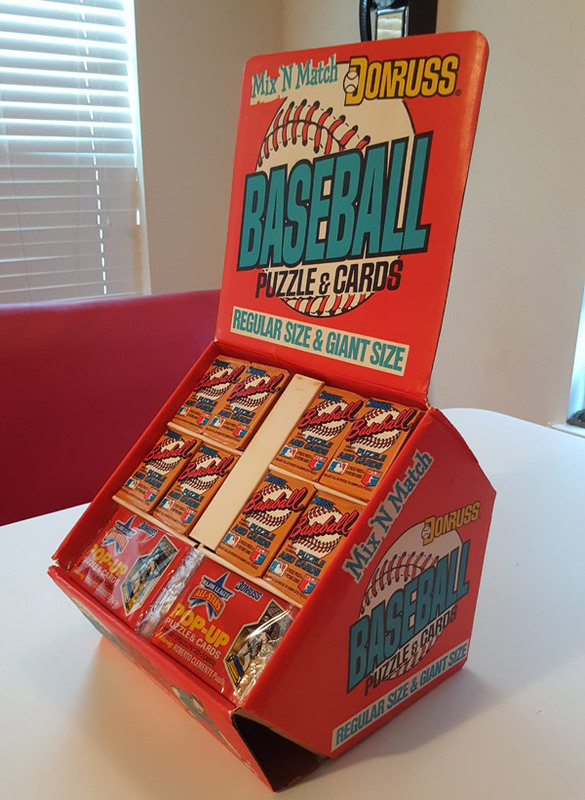 With 4 boxes worth of packs, the bottom 2 compartments are actually packs of jumbo cards with all star pop-ups. Remember those? The box itself was a touch more difficult than I would have liked for it to have been to setup. But good golly, miss molly. Look at the colors! The colors! Last but not least, my home boy Jose’s claim to cardboard fame: 1986 Donruss. Junk wax eye candy at its finest! Okay, so 1986 isn’t considered junk wax, but “junk wax eye candy” has a ring to it, doesn’t it? The yellow, blue and red all work together wonderfully. 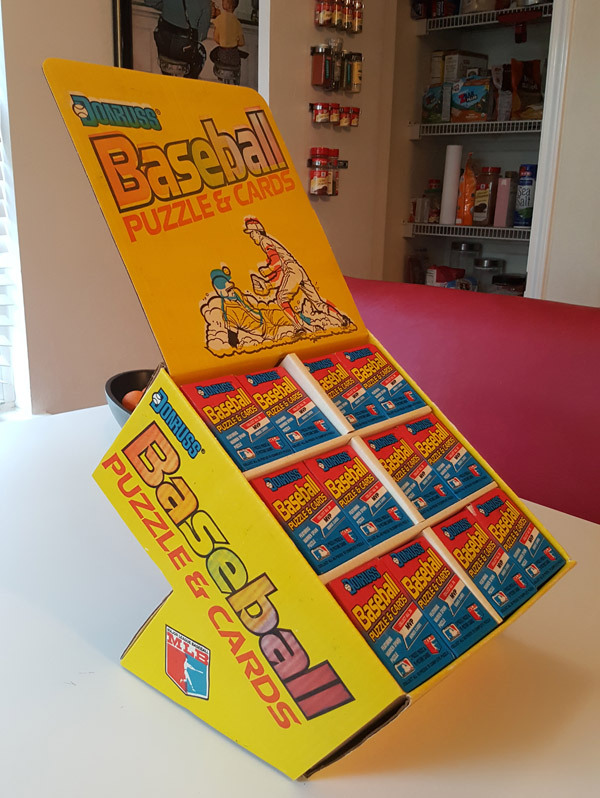 A gorgeous 32 year old case with 4 boxes worth of regular packs and bunches of jumbo card packs (read: I’m too lazy to see how many there actually are in the case). To top it off, I set my PSA 10 Canseco to show off with it – The card in the grade that all other cards in the entombed packs strive to be. 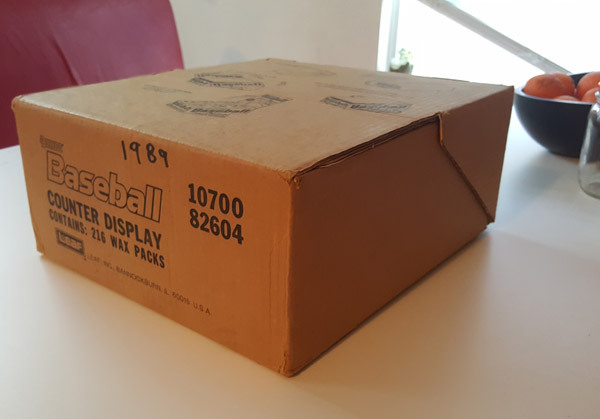 These “transformer” baseball cards truly took me back, and they are a joy to have on display – even if I don’t open a single pack!